Place loop over the second toe. 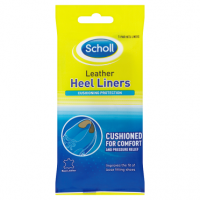 Roll hosiery onto the foot and then position the pad so that it is comfortably placed under the tender area. Hand wash with mild soap and lukewarm water. Rinse thoroughly then leave to dry naturally. 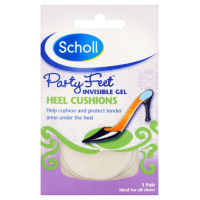 HELPS PREVENT BUILD UP OF HARD SKIN. 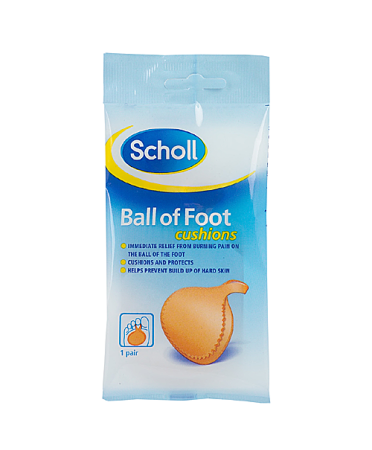 Scholl Ball of Foot Cushions provide immediate relief from burning pain or tender areas on the ball of the foot. 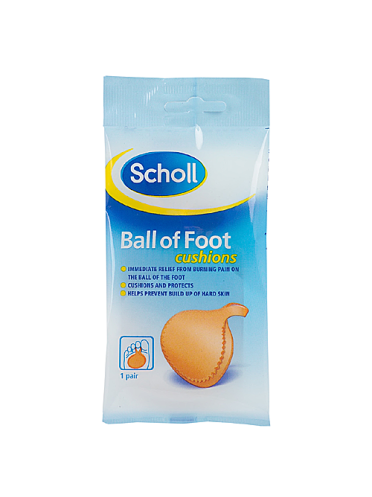 Dual layer foam provides cushioning and pressure relief. 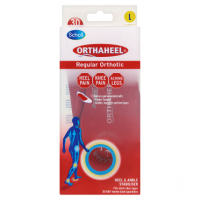 Helps prevent further build up of hard skin.